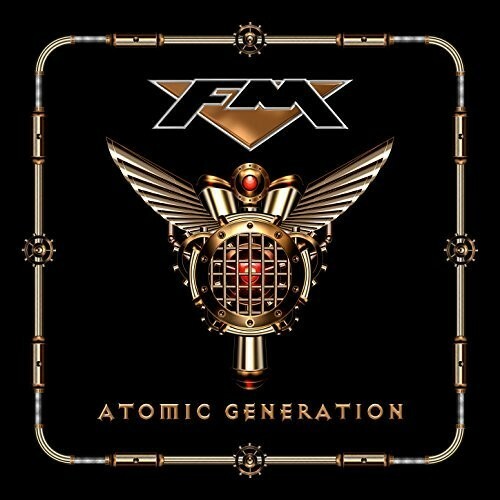 After thirty plus years of existence, FM finally get around to album number ten which follows up their excellent 'Heroes & Villains' release from 2015. A band that can seemingly do no wrong, they are well-known for their superb live shows and quality recordings, and as another stark cover stares out at me, I've no reason to think this is going to be any different. Straight off, opening track 'Black Magic' soothes any nerves with its hard-hitting rhythm and solid chorus. 'Too Much Of A Good Thing' gives off a more laid-back vibe, whilst 'Killed By Love' completes the hat trick with a faster, pure AOR sound that'll have you all singing along when you hear it. This opening salvo demonstrates why FM are so popular amongst those who like their Rock somewhat "wimpy" as each track is markedly different to the other, yet all three are unmistakably FM. This (in part) is due to Mr. Golden Tonsils himself ï¿½ Steve Overland. As usual, he sounds terrific and brings real heart to what is essentially just fluffy guitar-based entertainment. The twelve tracks here give each member a chance to play with groovy bass rhythms, pounding drums, cool keyboards and, of course, very sweet guitar solos. Musically, it compares well with 'Heroes & Villains' and contains a similar array of song styles, but it's certainly not a copy. There are some beautiful songs here, such as the upbeat yet still mellow 'Golden Years' or the epic closing ballad 'Love Is The Law'. There are also tracks to get your fists in the air ('In It For The Money') and your voice singing along to ('Too Much Of A Good Thing'). 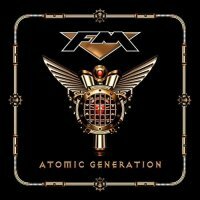 It's a great thing to be able to say that FM have delivered yet another first class AOR gem with 'Atomic Generation'. They seem to be a unit that's incapable of firing on anything but all cylinders. This album is soulful, poppy, rocky and stylish, and there's no excuse for any AOR fan not to add this to their collection ï¿½ it's da bomb! Hi, pretty fair review ! This album looks to be outstanding, even better than Heroes&Villains(a bit too schematic/conventional for me).. with songs such as the explosive dark BlackMagic, the dreamy GoodThing, the groovy In4Money or the Toto-esque Aor FollowYourHeart you cannot go wrong !